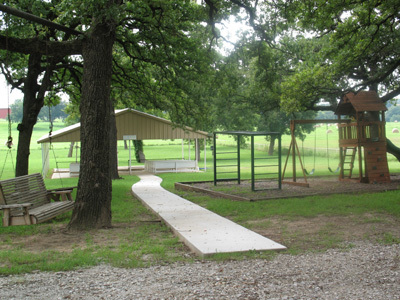 For your romantic, intimate weddings, our church offers you a beautiful location in the country only minutes from the metroplex. 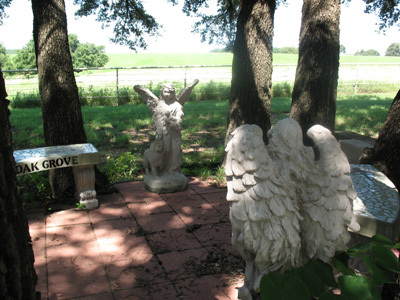 Our prayer garden under the live oak trees would be a lovely place to pose for your engagement portraits. 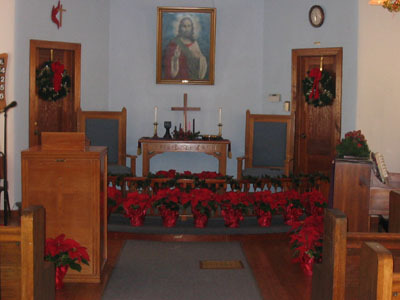 The Sanctuary offers a center aisle. cushioned pews, carpeted runway, and kneeling rail for your wedding ceremony. The sanctuary can accommodate an audience of over 100 persons. The Outdoor Tabernacle is a covered pavilion surrounded by huge oak trees and a lovely green lawn. There are movable pews, a podium, and a kneeling rail. The tabernacle can seat over 100 people. 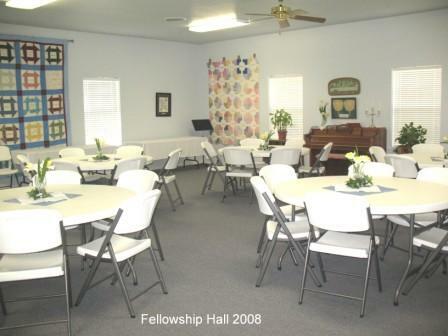 Our Fellowship Hall has a complete kitchen with tables and chairs for a reception or dinner. It will accommodate over 150 people. 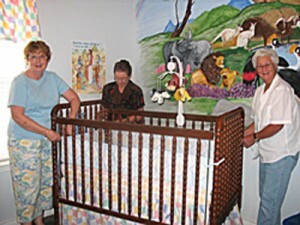 A colorful nursery is available for infants and toddlers, complete with baby bed and changing table. 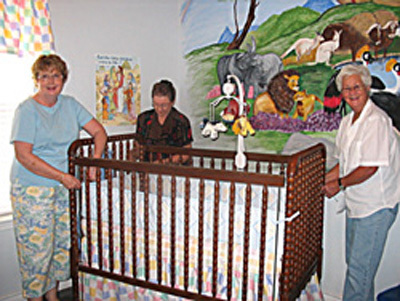 Please note: Every room and area of this church is dedicated to the service of God and the Christian faith. As such, alcoholic beverages and illegal drugs are not permitted on the church grounds. No smoking is allowed in the church buildings. For other information on fees, deposits, etc., or to schedule an event, please contact the church office at 940-626-4407 or email us… JUST CLICK HERE.